Please join us for a “Vocal Master Class” Workshop on Tuesday February 18th from 10am-2pm taught by vocal instructor Ashley Yarnell! You need not be a current student of Ms.Yarnell’s nor of Marblehead School of Music to participate. This workshop is for anyone who wishes to improve upon their overall vocal technique while boosting confidence and stage presence; something we do not have the luxury of in private one-on-one lessons! Open to all levels, but some prior experience with singing is encouraged because this is not an introduction to singing class. 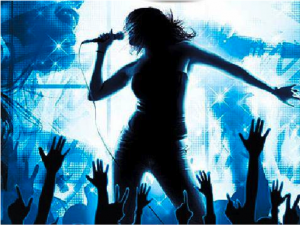 Introduction to Stage Confidence for singers and all who perform. A 20 minute one-on-one “work through” session with Ms. Yarnell, with the other participants acting as audience members. And includes a USB device with your critiqued video performance available in the days following the workshop. Two contrasting songs of your choice. (Different artists, genres, tempo’s, etc.) *Please understand we may not get to both, but options are important. Sheet music, lead sheet, or track for the songs you wish to work on. Bag lunch (peanut free please). This workshop is limited to 12 students. Register by February 14th. Please download and print the registration form here or contact us at info@marbleheadmusic.com.